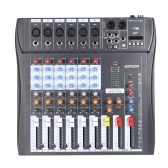 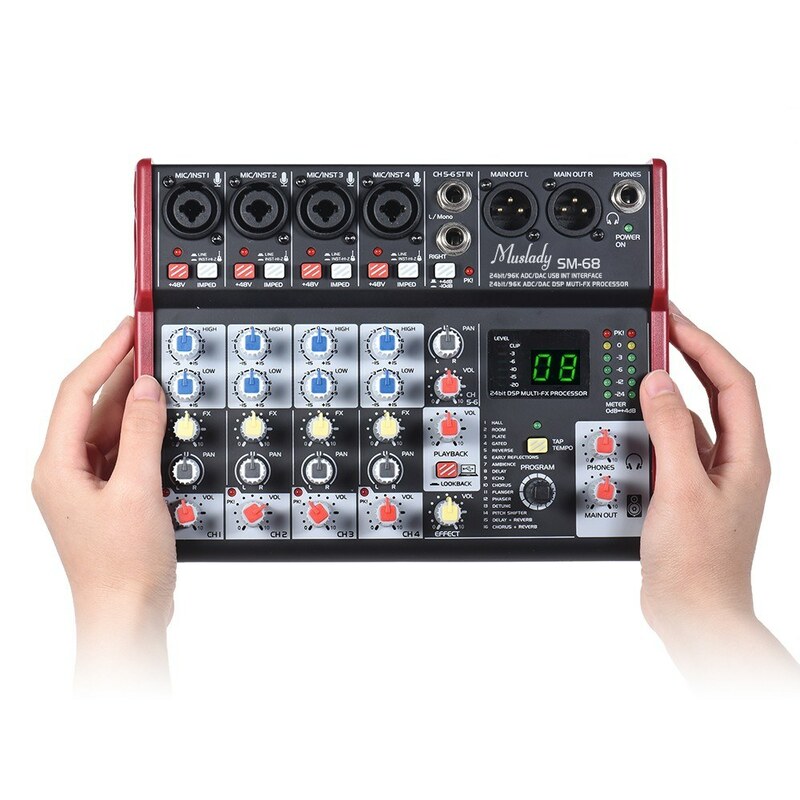 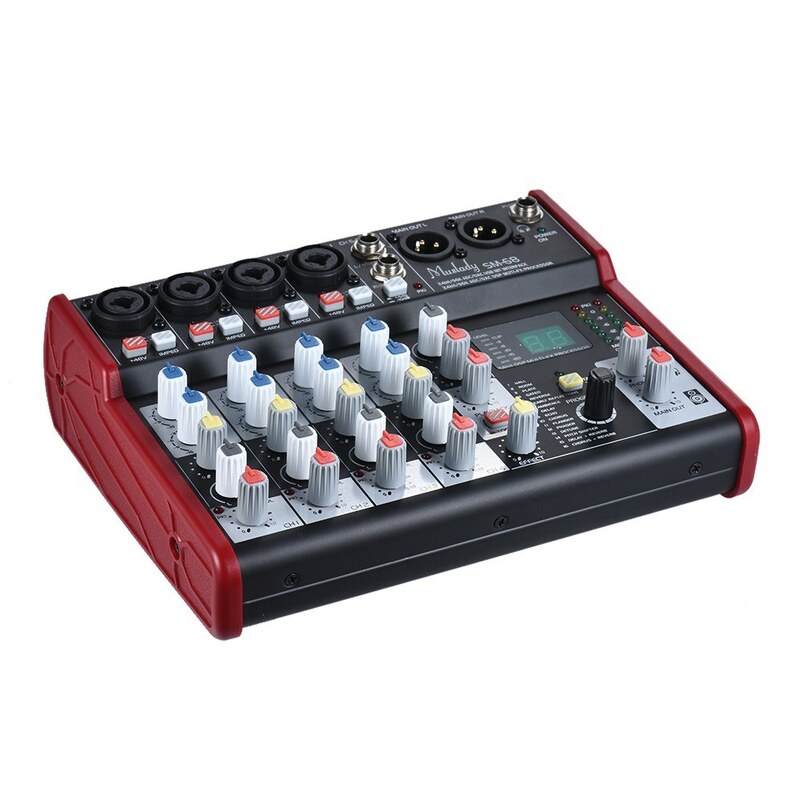 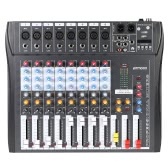 6-channel digital mixing console with 4 XLR/TRS microphone or guitar combo input jacks and 2 TRS mono/stereo line input jack. 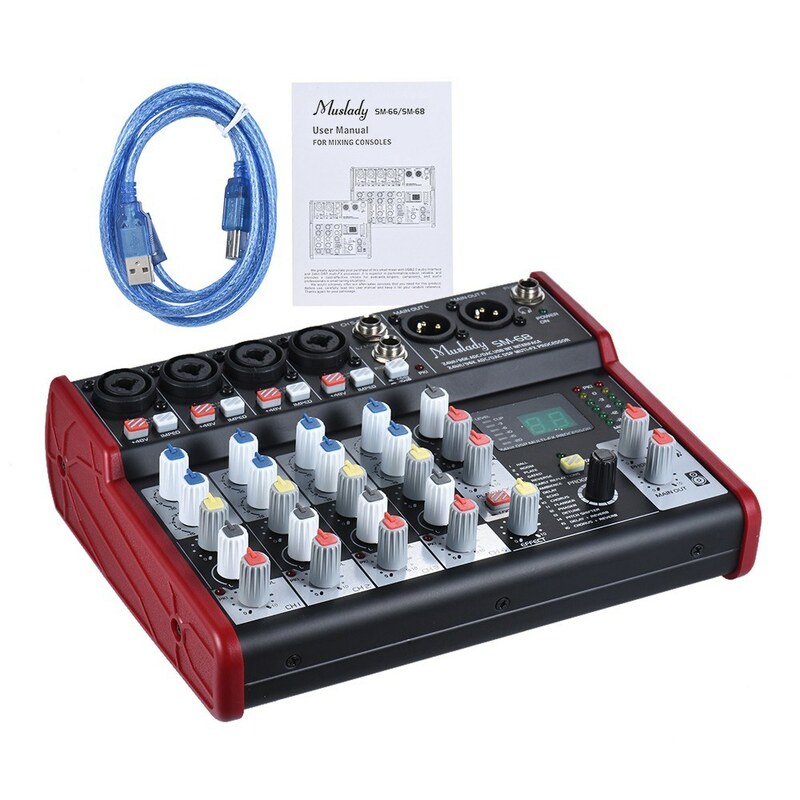 Plug and play, with 24 bit USB 2.0 sound card, compatible with Windows XP+ and OS X systems. 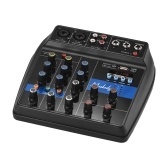 Also compatible with many audio editing and making software that supports Core Audio or WDM standard. 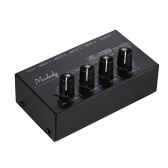 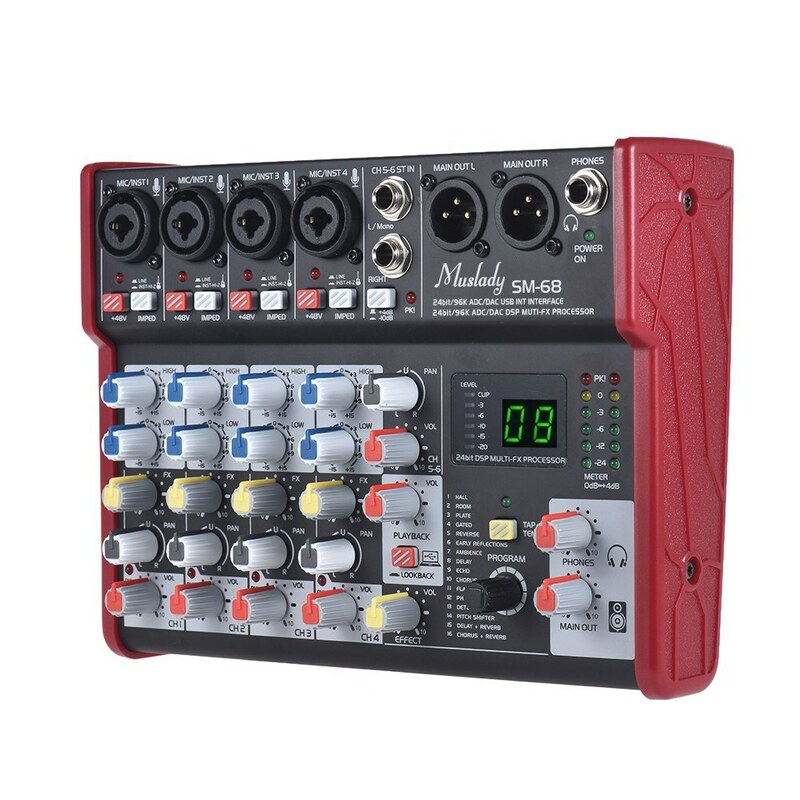 Built-in 24 bit multi digital effect processor, supports up to 16 kinds of effects to meet different requirements of your vocal or musical instruments. 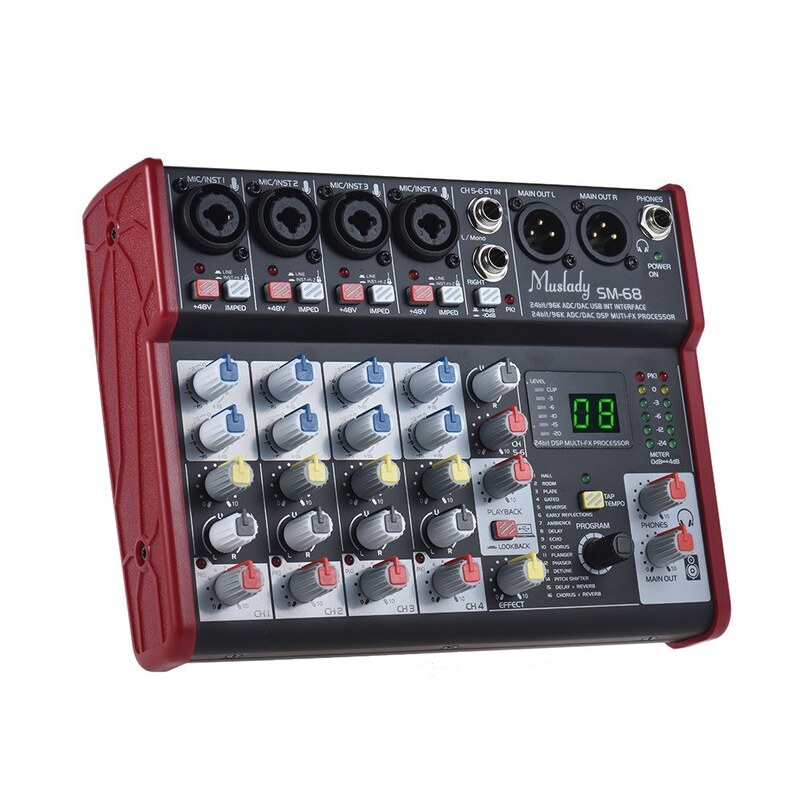 The specially designed A-type microphone pre-amplifier has extremely low noise, low distortion and a high dynamic range; built-in 48V phantom power for using with a condenser microphone. 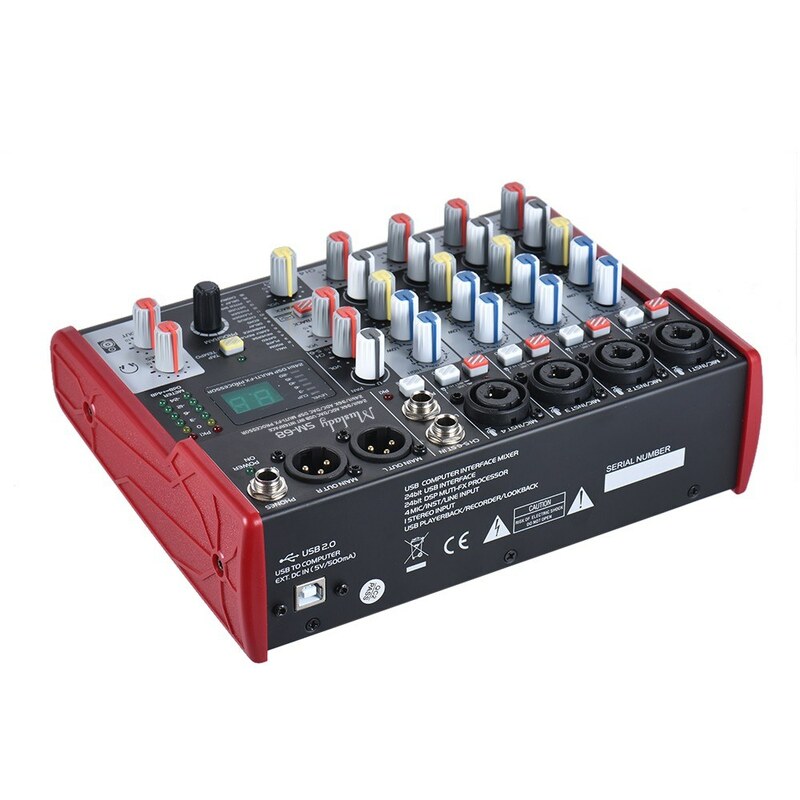 Compact size design, portable and lightweight; and DC 5V low voltage power supply, can be powered by computer or 5V power bank via the including USB cable, very convenient to use. Suitable for recording, online live performances, karaoke singing and conference room, a great assistant for guitarists, singers, music lovers and so on. Q Can this record 4 simultaneous mono audio tracks from XLR inputs into PC connected to USB, or only one "mixed" track? 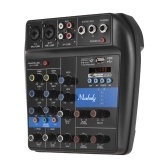 A Sorry , it can not directly record to PC，you can record on it and then transfer to PC,thanks.